Reward, reward, reward. Yes, that is what I Am speaking to you now, says the Lord. You thought that you had to wait four months for the harvest of those things you have planted into My kingdom? Not so. Not so! I SAID NOT SO! Look! I Am the Lord of the harvest and I say, NOT FOUR MONTHS! I Am your shield and exceeding GREAT REWARD. I reward you with Myself and ALL THAT I AM AND HAVE belongs to you. Didn’t I call you an heir? Don’t you see that you are an heir now, says the Lord? Yes, My blessings, My provisions and My help is a NOW Word for a NOW TIME! Now is harvest time, not sometime. Now is a reaping of the things that you have sowed. Did you sow love and think that you were going to reap hate? Not on My watch, says the Lord. That is not the seed and that is not the harvest. I am giving you a harvest of love. You loved a little, you will reap a lot of love. Don’t say this is not fair, says the Lord. I am talking about seeds and harvest. Yes, a little seed produces a lot, and it is to fair. That is how it works in My kingdom. You cannot out love ME. Love a little and get MY LOVE poured into you so that you can love MORE. That is how it works, says the Lord. I am not stingy, so I give you enough to live and to give. You just give MY love. You give what I give you and there will BE NO END TO INCREASE, because there is no end to ME, says the Lord. Try ME. TRY IT! I am doing a new thing. It is a new revelation of what I Am doing in this season, says the Lord. I am creating you to be as I Am. I am El Shaddai, the God of more than enough. Yes, to be like Me in this season will display the more than enough. You will be able to give and love and release in this season as never before. You will plant, but the harvest, the old harvest will still be in the ground around you. You will be harvesting constantly. Yes, constantly, now. You will not be able to keep up. Sowing and reaping the same day, says the Lord. You will be scattering the seed with one hand and gathering with the other. More than enough, I said. 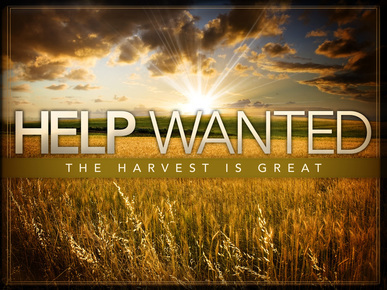 You can’t give faster than I reward you to reap, and the now harvest is great, says the Lord.